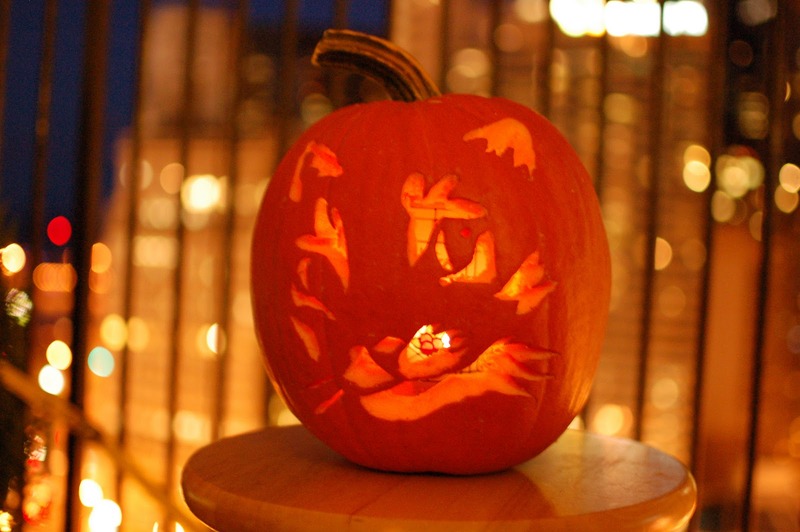 A fun Halloween had by all. 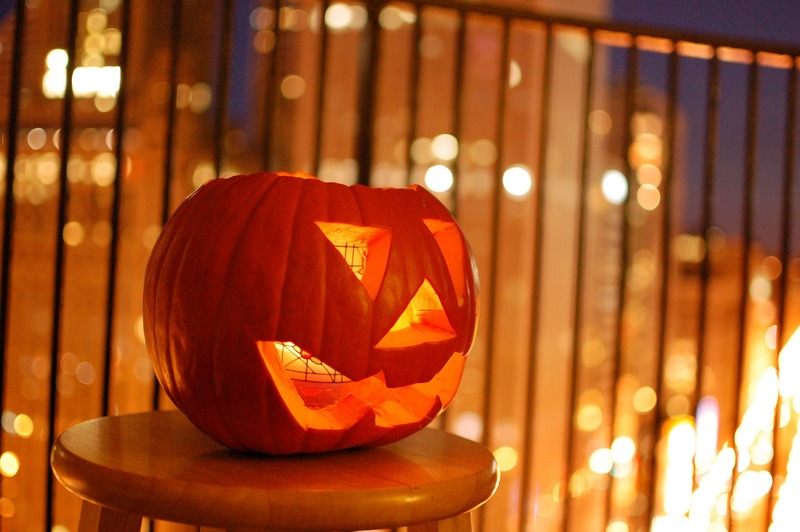 The weekend of the babies, chocolate, ghosts, candy corn and no sleep. Granddaughter's favorite treat... Ghost Poop! Alias mini-marshmallows. Today I promised to announce the winners of the B747 video contest. But First-- A funny thing happened to me on the way home today. I flew with a wonderful crew to Amsterdam. Slept 6 hours. Woke up around dinner time, played on my computer... back to bed at 11 for a 5 am wake up. When we all arrived at the airport for our 8 a.m. departure, there were three first officers. We had all been scheduled for the same trip. Further inspection I realized-- to my good fortune-- that I was the deadheading crew member. My fingers flew on the computer and I listed for a deviate deadhead non-stop into Seattle. KLM allowed me to use their phone to call scheduling, and home. Then KLM put me on the General Declaration-- meaning, I was a crew member and could navigate customs via the crew line. This is an amazing feat in the land of "Is not possible." 3 hours later I was snuggled into my first class seat headed for Seattle. But not before I told a first class passenger I was sleeping with him. At the gate he said, "Are you flying us to Seattle today?" I said, "No, I'm just a passenger. So I guess I'll be sleeping with you to Seattle." I'm not sure who laughed first, but I said, "That didn't sound right did it?" He said, "I kind of liked it." An excellent gift on my last trip out of the Detroit base. I flew right on by on my way home. I was planning on giving away 2 videos. But I've decided to give away 3! Now you guys have to email me at karlene.petitt@gmail.com Put "video winner' in the header, and send me your address. and let him know if you want to buy one. The guys are approaching the end of their Journey! Yesterday, during my October countdown, I forgot to mention an important event. The days have passed so quickly-- maybe not for them. Fly For MS, August 27, Friday Fabulous Flyers, Andrei and Keith have been a on a 60 day, 30 country journey on behalf of those afflicted with MS. 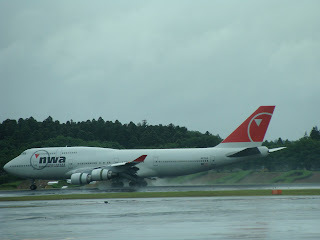 They will be in the US on the last two days of their "miracle" flight. ATLANTA: October 30 ... Tomorrow! "Incredible experiences have been the experience itself"
In Denmark, their youngest passenger, a 1-year-old, flew with her mother who has MS. The day after, she continued to point to the sky saying, "More! More!" Another pilot in the making. Two months prior they'd promised a 60-year-old man that they would fly with him in their plane. 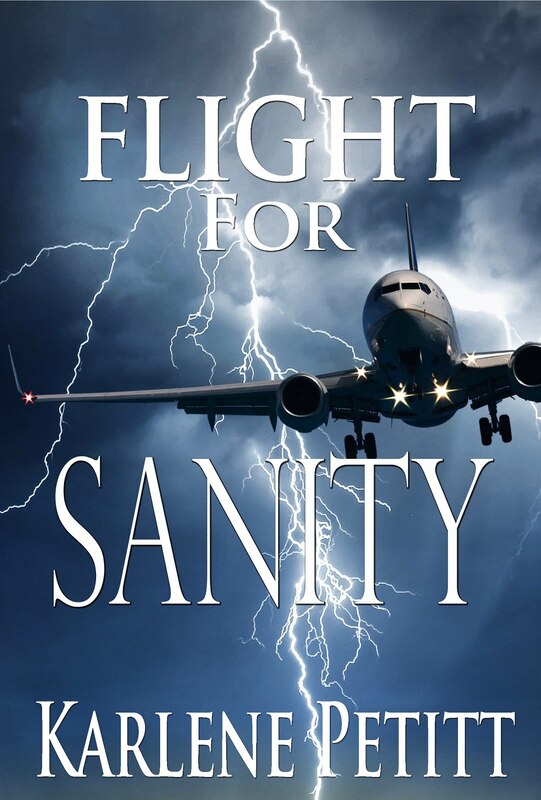 The man told them that for two months his mind wasn't on MS -- he thought only of the flight. Crossing the Atlantic, "the challenge, the sights, crossing the Alps was amazing! Norway's Fjords." These men and their team, have done something amazing for the people with MS. Special thanks to the airports who waived the landing and airport fees! The people with MS have been enthusiastic and thankful for what their doing, more than they can describe. 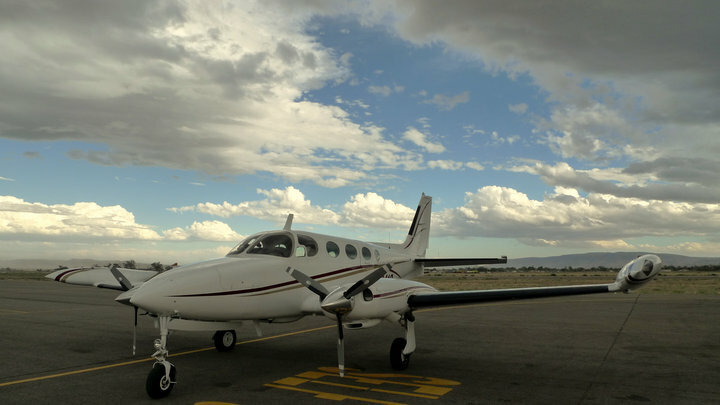 Private pilots could do a lot more for their communities. Europe needs to make general aviation cheaper and easier. When you do something so different and bold, expect lots of skepticism. Why for nothing? A ton of disbelief that they were on this mission. Thank you Andrei and Keith, and the entire team. Fly safe! Your journey may be coming to an end, but it's just begun. 2000 feet switch to ATC automatically. 3000 feet altimeters to Standard. Personally... I like to fly the plane so my 1000 feet is ... focus on flying! 4 days left in October and so much is happening. 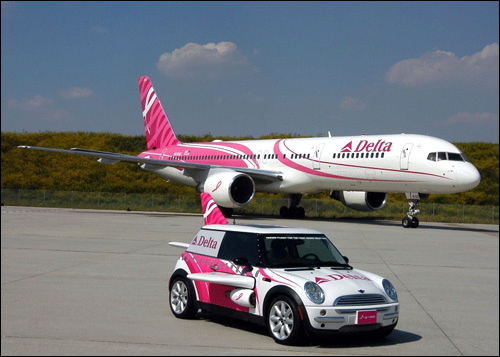 For the entire month everyone has been seeing pink around Delta Airlines. We have "4" days left to support Breast Cancer Awareness month. Click Delta Pink Plane Video and watch an incredible flight. I've been wearing a pink tie, buying pink lemonade and raffle tickets all month. Now you have 4 days remaining ... to support a great cause! 4 days, 13 hours and 23 minutes... and counting and I will no longer be based in Detroit! It took me 22 years, 8 airlines, and 7 different planes... and I finally made it home. 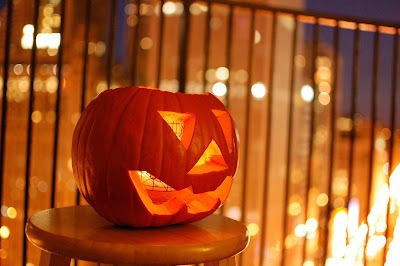 4 days and counting... Halloween is here and I need photos of pumpkins for my blog! Email them to me. And costumes welcome too! Managing the Princess on approach continues to be a challenge for those new to the airplane. We're often vectored in fast, and slowing down early is not an option. There are too many planes in the sky competing to land at the same airports. 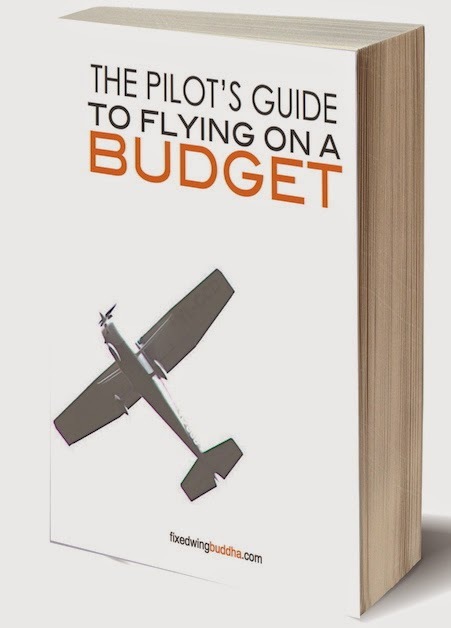 Besides with the price of fuel, flying fast and getting on the ground is the most efficient. The problem is, the A330 doesn't like to go down and slow down. And she sure doesn't like to descend on the glideslope at 180 knots. She will accelerate unless you do something. I've noticed we're required to keep our speed up to 180 knots more times than not. And we're often vectored in high. How do we manage the approach in this case? Don't activate the approach speed until you're on the glideslope and ready to slow. If you attempt to slow this plane then think you're going to capture the glideslope, it won't happen. Fly the plane to the glideslope first, then slow down. That's the only way you'll get on profile and make a stabilized approach. Once capturing the glideslope extend flaps, gear, and or speedbrakes to allow her follow the glideslope while maintaining the requested speed. The speed, and distance you capture the glideslope, will determine your configuration. "170 knots with Flaps 3 gives you the best rate of descent." In Narita they want you to put the gear down over the shoreline. In this event, Flaps 2, Gear Down and fly at 170 knots is the option. Remember... unlike the Boeing, this the Airbus can use speedbrakes with the gear and flaps extended. More to come on that tomorrow. Now... off to the airport. Short call in Detroit is in my immediate future. 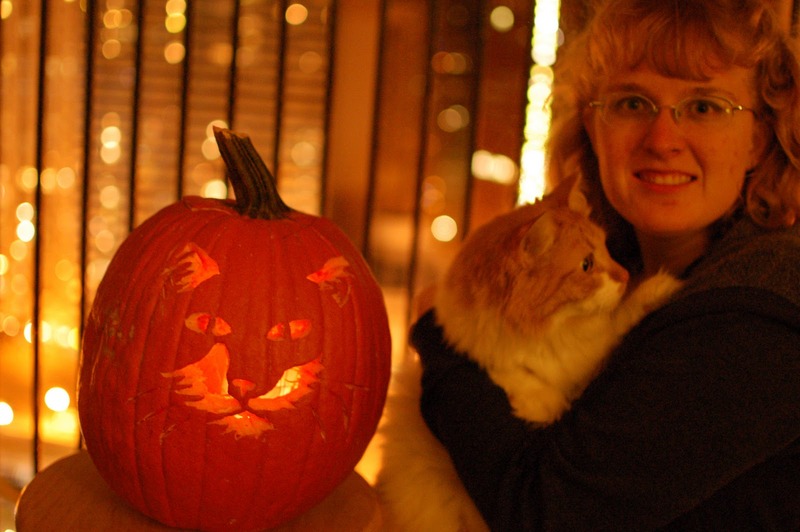 Last week I had the opportunity to write about the incredible woman Mireille Goyer. She is behind the Centennial of Women Pilots Project, a grass root campaign that is working toward introducing a record number of girls and women to the joy of flying. Men-- you're involved too! Lesley, from Ontario, Canada had an aversion to taking passengers. 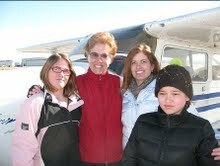 She organized a lunch date on November 13, as part of the celebration, and invited pilots to fill their airplanes with girls and women and fly for lunch to Edenvale Airport, Ontario. The moment she announced it, she had four pilots sign up. Lesley had never taken a non-pilot passenger before she participated in the campaign. She now is standing at 27 introductory flights. 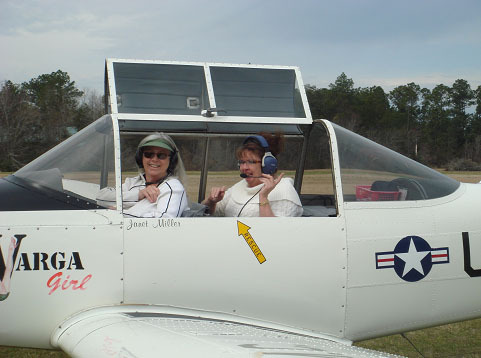 Jan from Gulfport, MS, took the challenge to overcome her fear of flying. She had told her husband that he "shouldn't" take flying lessons. She flew as a challenge from a friend for this special occasion. As soon as they landed, Jan called her husband and told him that he could take flying lessons! 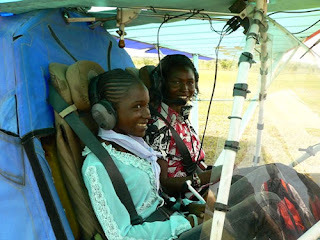 And then there was Patricia, the first woman to receive a Ghanaian pilot license last year. With the help of 3 male pilots, Patricia celebrated the event by flying 100 girls and women in one day on the 100th anniversary, March 8. They ended up flying 97. But to all, they reached their goal. I am so sad I was in Ghana twice and didn't meet with Patricia. Next time I'm there Patricia, lunch is on me! We have only TWO months before the end of the Centennial Year Mireille is looking for pilots to help salute the female trailblazers of the past. 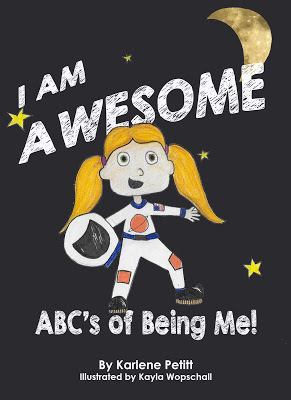 If you are a woman pilot, then you have benefited from the breakthroughs of the women before us. Please encourage another woman to visit the sky. You do not have to be a woman to take part. Men-- this is a great excuse to get a woman in the sky. A great reason to fly. A great opportunity to build hours. You too can help. Students looking to build hours? 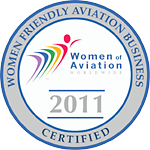 How about working with your FBO, find a sponsor, and spend every weekend from now until the end of the year flying "women" to introduce them to the sky. 1. Career potential with an introductory flight. 2. Remove the fear of flying. 3. Support women to empower themselves. And Trophies too in three categories too! 3. 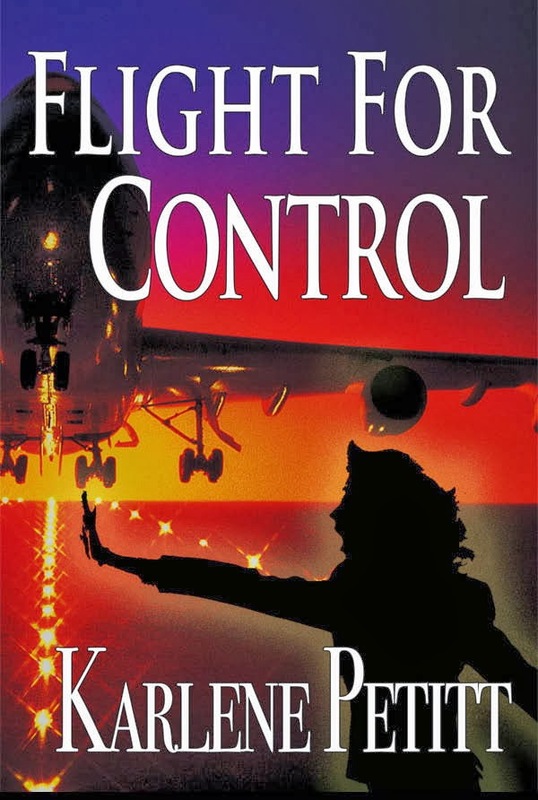 Most unusual introduction to flight of a non-pilot girl of woman by a pilot in 2010. Don't forget to keep me posted on your plans. I'll advertise your event for you! Amsterdam to Seattle. 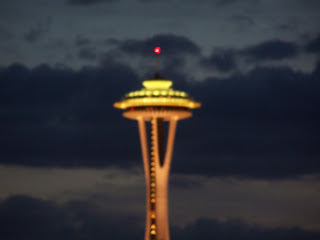 A long flight, and Fall beat us to the Emerald City. The winds were 290 at 21 knots gusting to 36. Rain showers in all areas. A broken American Airlines closed 16L, the long runway. We landed on 16C. Taxied to S8. I navigated customs, dropped off paper work, enjoyed Princess Parking, and hit the ground running. The trees had changed colors while I was gone, and the rain stripped the leaves from their branches and stole my Fall colors. We'll they're still here-- just laying on the ground. I took my car into the shop. Did a little shopping to support the local economy. Slid into a hot bath with a good book. Now I'm going to sleep for 12 hours. I will write more when I emerge from hibernation. Note: Landing in Seattle and being 12 minutes from home is something I will never take for granted. Officially back on reserve in DTW from the 28th to the 30th. Remember-- we can do anything for three days. And PARIS Pictures for Heather! This one is for VICTORIA! I was asked about "how" the thrust levers worked in manual. I think the confusion lies in the detents on the quadrant. O: At the aft stop. 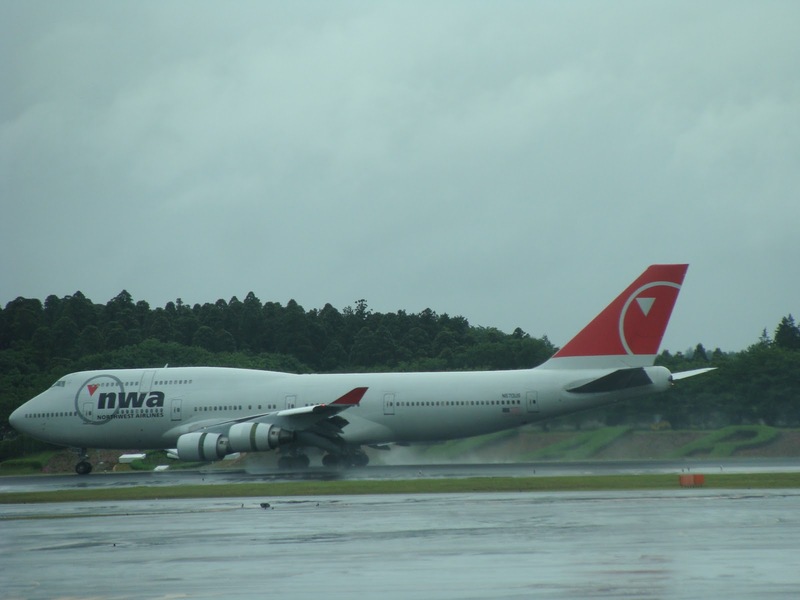 Idle, where reverse thrust can be pulled up. CL: Climb. Used for Climb and Cruise. FLX / MCT: Flex or Derated Power and Max Continuous Thrust. Used for takeoff with a derated power setting, or if we lost an engine. TO / GA: Maximum Takeoff Power and Go Around. Used for a max power takeoff and a go-around. The mystery of the thrust levers in manual is no mystery. When in manual, they operate exactly like any other jet. The power increases as you move them forward, and reduces when you bring them aft. They do, however, send electronic information to the engines. The real mystery of the thrust on the A330 is how it operates in Auto. That is a lesson for another day because I am in Paris... and need a nap before I head out on the town. I took this picture out the van window, two blocks away, and tonight I will see her lit up. A strike is on in France... riots, burning.... and some planes are not getting out because they can't get fuel. 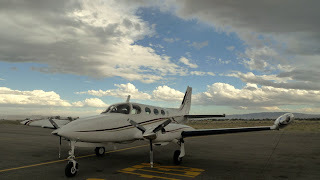 We carried enough in, in the event the crew taking our plane out needed to fly somewhere to fuel up before heading home. I'm not sure what we'll see tonight. 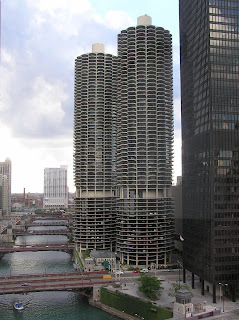 The city is very quiet this morning... except for the sirens in the distance. A week ago a new pilot, Scott Grieve, told me that his instructor said, "You can't teach landings, it's all feel." He wanted to know if this was true. Truth is an individual reality. Your truth may not be my truth, and we're both right. His instructor is not necessarily wrong based on his experience. But trust me... a good teacher can teach anything. And "feel" comes with experience. A good landing comes with doing the right thing, at the right time, after a stabilized approach. Heading to Atlanta today. 30 minutes and I'm out the door. Tomorrow night Paris. Last night... the party was in Chicago for Krysta's Happy 25th Birthday! She is currently working on her Masters in Education, has great insight to her third-graders, and is going to make an excellent teacher. I will be in Atlanta tonight... and back in the flying world. Airplane stuff tomorrow! And.... remember to check up on the Fly for MS mission. Check HERE to view their blog. They're in Malaga Spain today. I'll write more on their adventures this week too. And Landings. And Manual Power... So much to write, so little time. I'm officially back on Reserve! Last night I finally closed my eyes around midnight, and at 0130 the phone rang. Scheduling calling. They said there was a trip to Dead Head from Detroit to Tokyo. This was a yellow slip. I didn't have to take it because it was a Seattle trip. Then I'd fly to LAX, and could DH anywhere I wanted to go from LAX. I said, "What does a yellow slip mean? Is this one of those doubled time pay deals?" "No. But you can deadhead anywhere you want after you get back back." Meaning back to Detroit. "Can I deadhead from Seattle? "But I don't know if the flight is full. Can you give me a positive space?" "You're sure I can't go from Seattle?" "No, it's a Seattle trip, but you have to go from Detroit." Moral of the story... I'm based in Detroit for two more weeks, but I was 10 minutes from SeaTac airport. Unfortunately because I'm based in Detroit, and this was a Seattle trip, even though it was a deadhead, I would've had to fly five hours East to Detroit to deadhead five hours west over Seattle on my way to Tokyo. I am sure this has something to do with the "working agreement." But that agreement wasn't working in this case. It will be so nice when I'm in Seattle and scheduling calls, and I can just go. Best part of the story. I slept 3 hours, hit the gym, hitchhiked on SWA to Chicago and landed at 1330. Now I get to take my daughter out for her 25th birthday. Everything always works out like it should. Tomorrow, I'm thinking landings are a great topic of discussion. Oleg may not be a pilot, but he's a huge support system for those of us who navigate over Russian airspace. A highly educated young man, he's earned two degrees from the Academy of Civil Aviation... One in HR management, and the other in air traffic controlling. 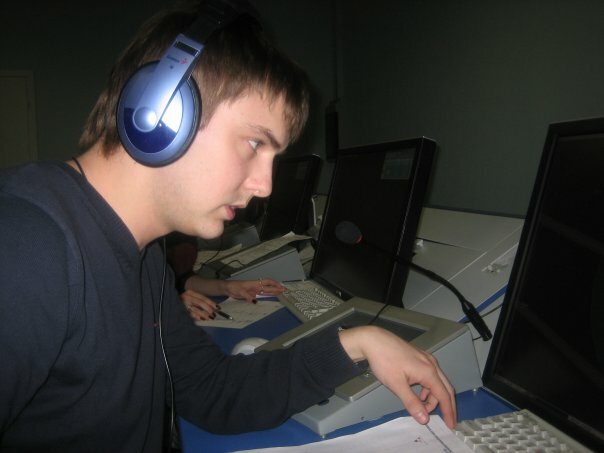 Oleg is now an Air Traffic Controller in Russia, and responsible for air safety in the upper air area... Air Route Traffic Control Center. But this isn't where he'd imagined his life would take him. 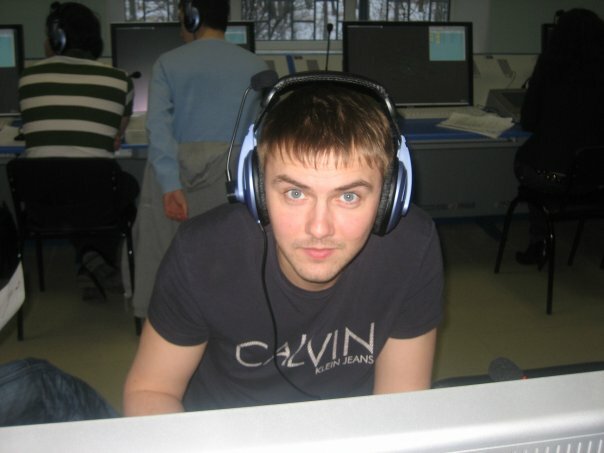 Oleg's childhood dream had been to become an actor or singer. His interest in aviation took him into the control tower. But his goals for financial independence started his mind searching for another way. While he was studying at the university, he told his classmates that he "would become one of the first, if not the very first, ATC-millionaire." To do this, he'd have to be creative. Oleg was kind enough to give me my own plane. I'll be selling virtual charters soon. Bags are free! Oleg says, "As in real life, airspace is limited." Oleg's dreams in Russia are like most of ours. He wants to own his own flat, and a car. To be married. Invest in financial markets, donate to charity, make his mother proud and enable her the opportunity to travel. And he says he needs a new bed. Visit Oleg's website and see if you can spot my airplane on the radar screen. Now, I have a question for you. Years ago when flying with Tower Air through Russia airspace, every sector I was sent to, the last controller always said, "Good luck lady." I thought they knew something I didn't. I recently flew with someone who said that he too was told good luck passing through Russian airspace. Is this something that Russian controllers say, like others say good bye? Good luck and make sure you say hi when I'm flying overhead. For the previous month, I've been babysitting my 8-month-old grandson, Miles, and have come to realize he is very similar to a Senior International Airline Pilot. He sleeps in two hour nap cycles. He loves shiny stuff. He loves to fly and it shows... he laughs as I toss him in the air. He fell in love, or lust... I can't be sure, with an Alaska Airlines Flight Attendant. He's bald. He's very cute. And he drools a lot when I talk to him. He whines if he doesn't get his way, and feeding him usually helps. Diapers? Well... it all Depends. His preference is definitely breast feeding... but he's easily swayed by the bottle. And last week he discovered himself. Tonight we begin our journey home, a day early. I'm driving my precious cargo through the night from San Jose non-stop to Seattle. Yes... I'm trained for this kind of duty. And this weekend I'll get to see my granddaughters. Then back on Reserve October 18th! Which is also my baby's 25th birthday... so I'm heading to Chicago to take her out to dinner. Hopefully scheduling can give me the night off. 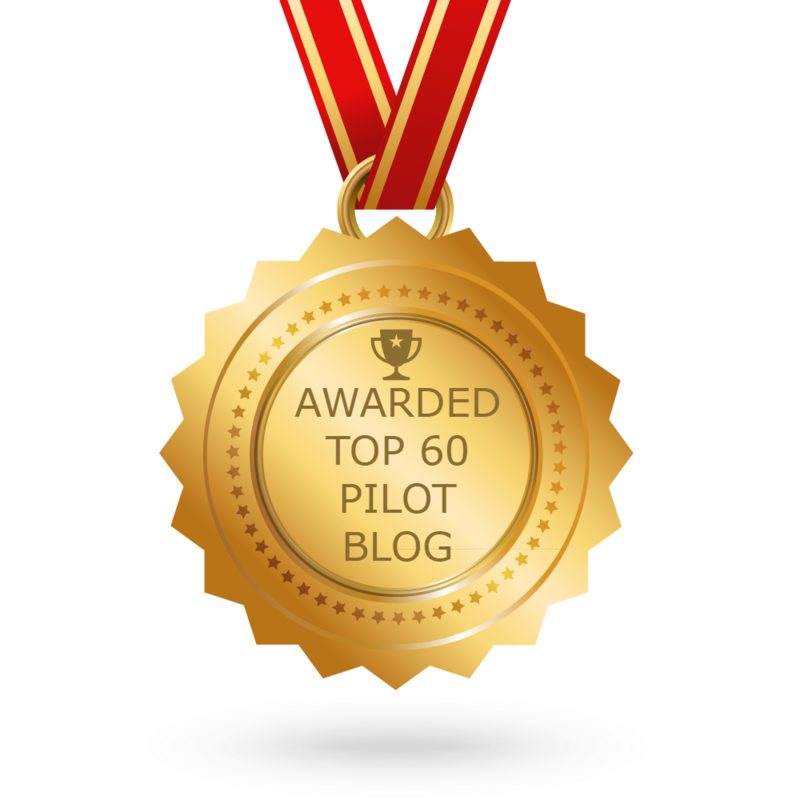 I received a great question from a reader as to whether he should change careers and become a pilot. Hello my name is Tom. I'm 26 single with no children living with parents in NYC. I have a bachelor of science in police studies. I work in law enforcement in NYC making around 2200 per month after taxes about in my 4th year.Excellent benefits sick days mutual days-meaning more then 2 days off, paid vacation days. 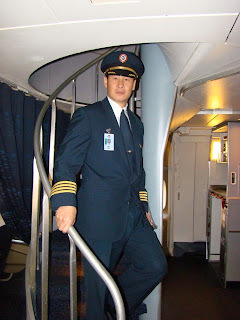 I was thinking about becoming a commercial airline pilot. I read many blogs online wanted to know if its worth to make the switch. I didn't like what I read that you spend 60K-80K to have all the certificates then you work as an instructor making around 20K and then if hired by the regional airlines you make less then 30K as a co-pilot. In addition the job I learned isn't stable nothing guarantees that you will work in the airline forever.You might have furloughs at least 1 or more times in career starting your salary again from the bottom from a different company and pulling a second job on the side. In my current job i can retire in my mid 40s having a monthly pension of about 4000-6000 per month tax free for life...then comes social security in later life which brings more money.I can also have a second job in my 40s just to have something to do. Please reply back with your suggestions/opinions. Tom, this is a great question. The only answer I can give you is... you have to do what you love and the money will follow. And if it doesn't, you'll still be happy. The decision to become a pilot cannot be made because of the money. The industry is far too cyclical to count on a set income like you can in the police force. 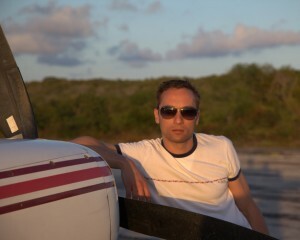 To become a pilot takes far too much money and time... you basically give a piece of your life ... to do it for the money. The only way you'll succeed, and be happy with the choice you've made, is if you have a passion for the industry. Whatever that industry is. This advice goes for any career that is highly specialized and requires a huge investment. What would I do if I were you? Go take a couple lessons and see if you love it. If you do, then you could continue to live with your parents, use your paychecks to fund your flight training while working. You won't have to make the decision to change careers until you are ready for, and accept, that first flying job. You'll also have a clearer picture where the industry is. Or, at the age of 26 and you can retire at 45... spend the next nineteen years building your flight time. Join a flying club. Build hours. Become an instructor. Teach on your days off. Part time, at 400 hours a year, you'll have 7600 hours when you retire from the police department and still have a 19 year career with the airlines. If it's a guarantee you want then maybe a flying career may not be the ticket. But remember... there is no guarantee. You never know what's around the corner. I recommend do what you love, and you'll have a happier life. Life is about the journey. Follow your passion and you'll make the right decision. Could that passion be flying? You'll never know until you do it. Marc’s story began like many others, with the fascination of aviation at the age of sixteen. He was on a flight from Boston to Denver, sitting over the wing. He gazed out the window and became instantly fascinated by the mechanics of the slats, flaps, spoilers and reverse thrust on this United Airlines’ B737. 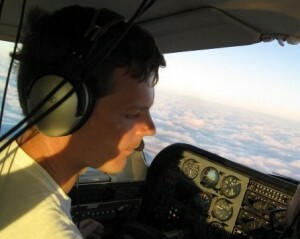 Adventure, responsibility, respect, and a very high compensation package (at the time) sparked his interest of the possibility that one day he could become an airline pilot. 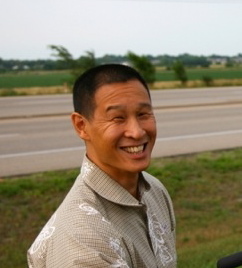 However, he had other interests as well, specifically photography and video production. At one point he had the dream of becoming a National Geographic photographer, until he discovered the pay wasn’t desirable. Ironically enough, the head photographer for National Geographic makes more than most airline pilots today. How times have changed. Photography didn’t support his financial dreams, and his guidance counselor had told him that he needed to join the military to become a pilot. 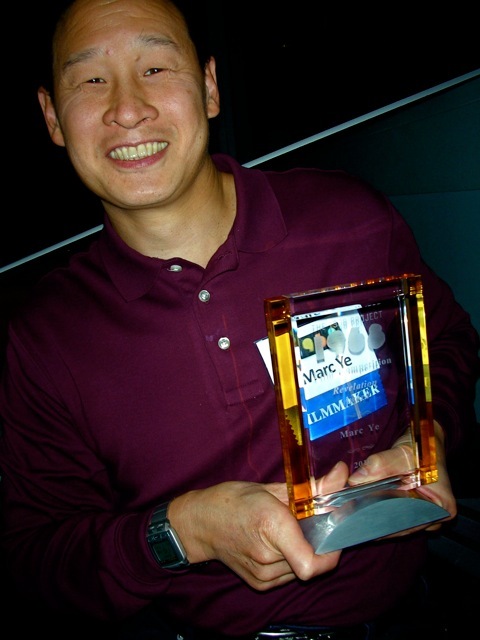 After high school Marc followed a completely different path, and pursued a career in electrical engineering hoping to achieve approval from his Dad, which sadly he said, “never came.” He hated electrical engineering, which explained why he didn’t graduate with honors. His heart was not in his studies. 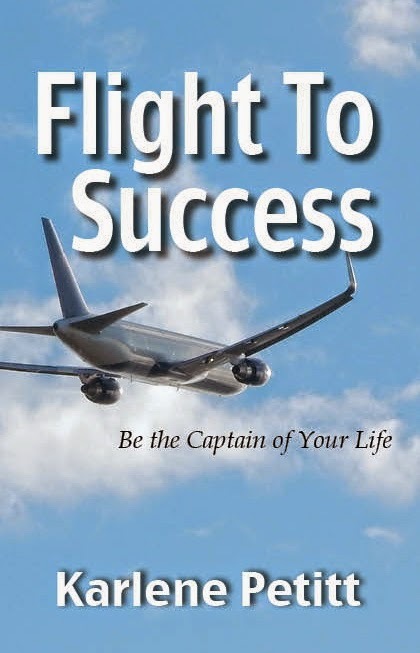 Realizing he’d traveled down the wrong career path, shortly after college, he decided to pursue a career in aviation. He flew to Oakland California and attended Sierra Academy of Aeronautics. 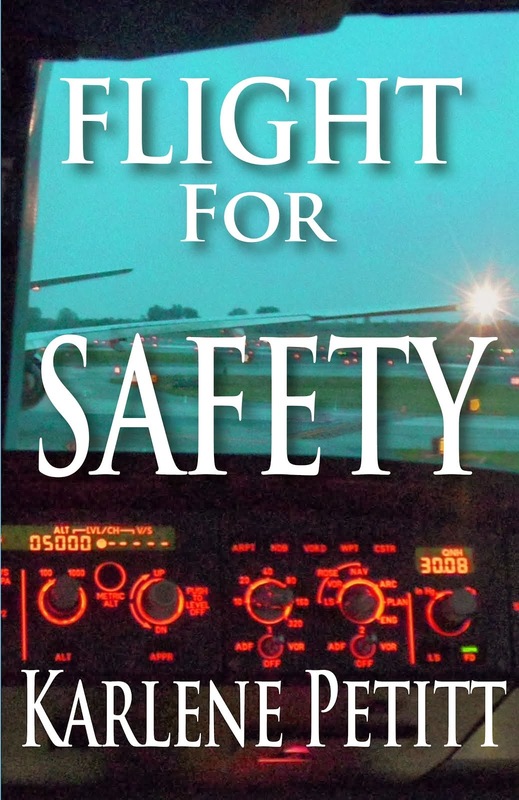 At an accelerated pace, he obtained all of his ratings necessary to become a professional pilot. His next task was to get flight experience. He returned to Massachusetts to flight instruct. Two years later he was hired with USAir Express, and flying Metroliners and Saab 340’s. 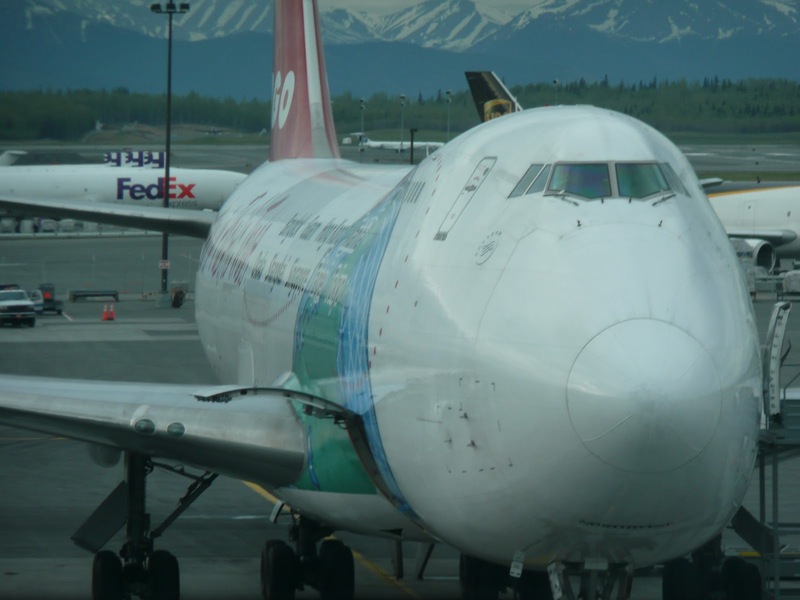 After five and half years, in 1996, he was hired with Northwest Airlines. He initially flew the DC-9 as a co-pilot, became a second officer on the B747, then a first officer on the B757, and now he’s flying as a DC-9 captain. 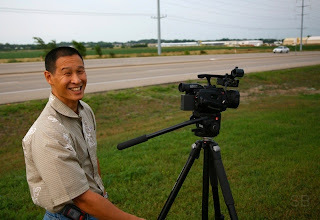 Not too long ago, his heart flew back to one of his first passions: media arts. The Minnesota Historical Society 1968 film festival was open for anyone to make a ten-minute film on any subject that occurred in 1968. When he learned that the Boeing 747 was introduced to the public in September of 1968, he ran with it, and created an award winning film. Yes, he won an award! Marc has come full circle melding his two loves into one. You can watch the video by clicking HERE, and selecting 2010 Award Winning Films. 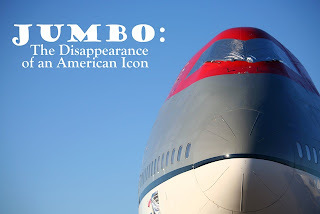 His is the video with the gorgeous plane: Jumbo: The Disappearance of an American Icon. Once on that page, click on the plane to watch. I actually bought a few copies. Christmas gifts, and I am giving a FREE copy to one of my followers. Yes! I am giving one of you a free 747 video. 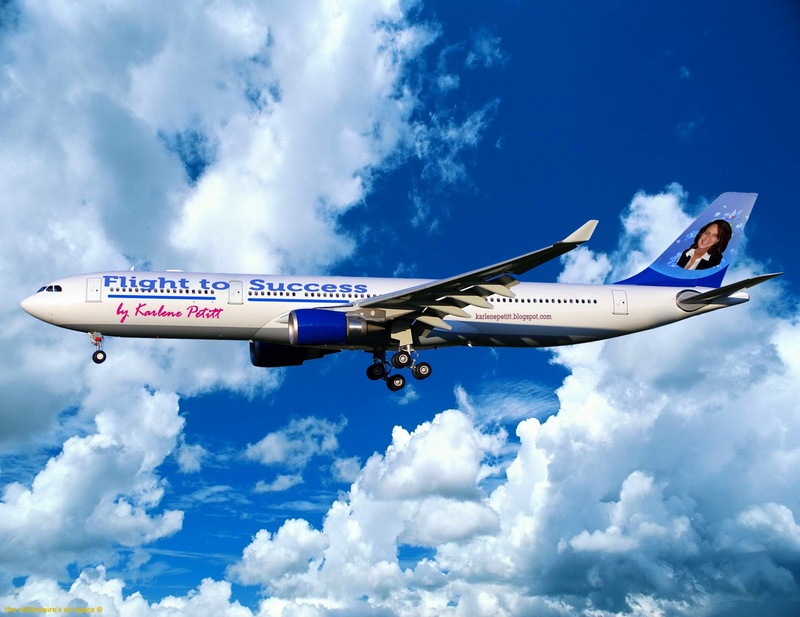 And don’t forget to leave a comment for this week’s Friday Fabulous Flyer, Marc Ye. Once you see this video, I'm sure you'll want a copy of your own. Thank you Marc for a flash to the past! Best of luck with your video. PS... if there is a funky purple color on the title, this is blogspot having hot flashes. Hopefully it will go away.